Federal Reserve’s chairman, Jerome Powell’s mentioned yesterday that the outlook for the US economy is outstandingly positive and even with the Fed’s third hike this year, rates are at a low level that is still boosting growth. Today’s agenda includes Fed’s Quarles speech and US Factory Orders. It’s worth to mention that Traders are presuming a climb at US Factory Orders (Previous: -0.8%, Forecast: 2.1%). 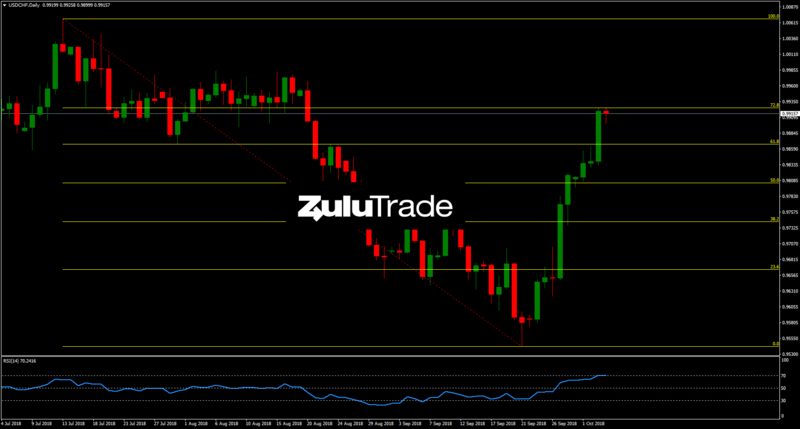 Reviewing the daily timeframe, USDCHF has perforned a great upside rally. 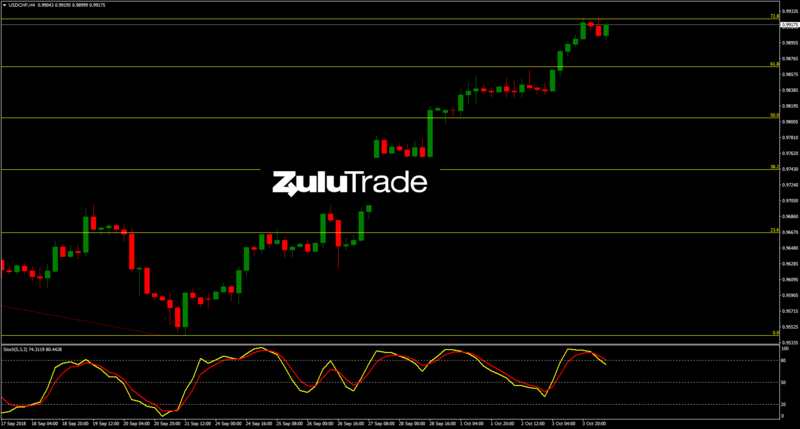 Currently, it is approaching the 72.8% Fibonacci retracement level, while RSI is flirting with the oversold zone. Heading to H4 timeframe, Stochastics is having a bearish crossover above the 80 level, which indicates a potential reversal.